A longtime football and wrestling fan who's managed to somehow make a career out of writing and talking about such things, Andrew likes to think of himself as an entertaining, informative, and occasionally humourous writer and radio personality - although you may completely disagree with that. When not writing or talking about the beautiful game and the squared circle, this Welshman can usually be found watching the not-so-mighty Wrexham AFC, scanning sports channels for any sort of football whatsoever, or re-watching classic Bret Hart matches of yesteryear. 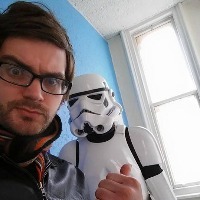 Elsewhere, Andrew is known as the Online Editor/Lead Writer of Starburst Magazine, a contributor for outlets such as TheRichest, WhatCulture, and TheQuiz.com, a radio presenter for CalonFM, and a panel host for Wales Comic Con.